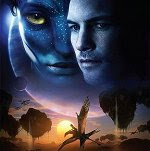 James Cameron's Avatar is now officially the top grossing movie of all time eclipsing Titanic (also by James Cameron). Probably the main reason of its huge success is the use of innovative filmmaking technology like its development of 3D viewing and stereoscopic filmmaking with cameras that were specially designed for the movie's production. It's amazing that Cameron wrote the scriptment for the film more than 15 years ago, but the technology available at that moment was very limited to portray his vision of the film, a major cause of the long delay of its release. Weta Digital, the visual effects company that gave life to the flora and fauna on Pandora, uses Linux and other Linux-based software to achieve all those cutting edge graphics. It utilizes one of the world's largest Linux clusters (ranked #193 amongst the top 500 supercomputers) for film rendering, with Red Hat Enterprise Linux (RHEL) as their OS. The CGI are created using 64-bit Linux-based software for painting textures and 3D modeling. There were more than 90 cameras (configured in a grid) that hang around the perimeter of a sound stage. Later on, a computer replaces the studio walls, the floor and the ceiling with digitally rendered three-dimensional environments and structures. The 3-D Fusion Camera System uses two high-definition cameras in a single camera body to create depth perception. The line of sight of the lenses can be adjusted so that they can be angled closer together to focus on nearby objects, or farther apart for those in the distance, just as your eyes do. 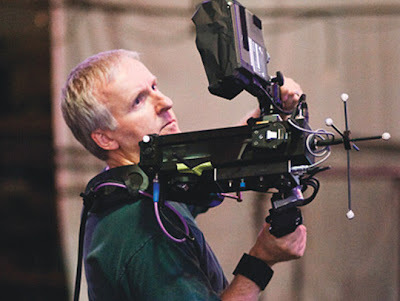 Cameron made use of his very own virtual camera system, a new way of directing motion-capture filmmaking. According to him, "It's like a big, powerful game engine. 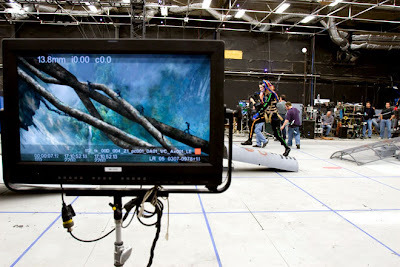 The system displays an augmented reality on a monitor, placing the actor's virtual counterparts into their digital surroundings in real time, allowing the director to adjust and direct scenes just as if shooting live action. They use a motion-capture stage (dubbed as "The Volume") six times larger than any previously used, and an improved method of capturing facial expressions, enabling full performance capture. Actors wore individually made skull-caps fitted with a tiny camera placed in front of the actors' faces. The information gathered from their facial expressions and eyes is then transmitted to computers. According to Cameron, the method made it possible for the filmmakers to transfer 100% of the actors' physical performances to their digital counterparts. Creating the virtual world of Pandora required over a petabyte of digital storage (Transformers "Revenge of the Fallen" needed about 140 terabytes). 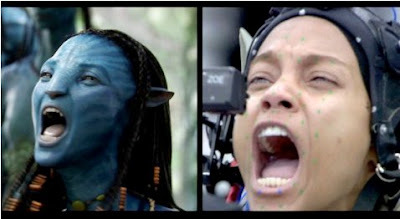 The final footage for Avatar occupied 17.28 gigabytes of storage per minute. 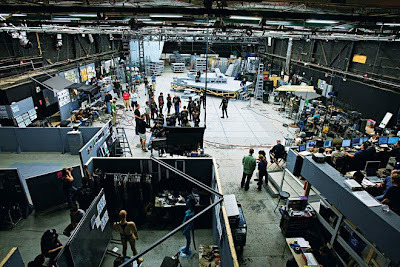 To help finish preparing the special effects sequences on time, Industrial Light & Magic (ILM) was brought in, working alongside Weta Digital to create the battle sequences. What did they use to render it? Blender, POV, what? Pixar's Renderman was used to render at most of the production houses (Weta, ILM, Framestore), although Mental Ray was also used for stuff as well. Compositing mostly with custom Shake versions running on Linux and Nuke running on Linux. him, James cameron under three years ago NOT FIFTEEN, as a first draft and he did not give that autor any credit for her part in the writting of it. It has a cloud over it.